Next April 6th in Rome, at I.T.I.S. Galileo Galilei in Rome, an important seminar on school system will take place: “Scuola Si / Innovation and Safety Care in Schools“. 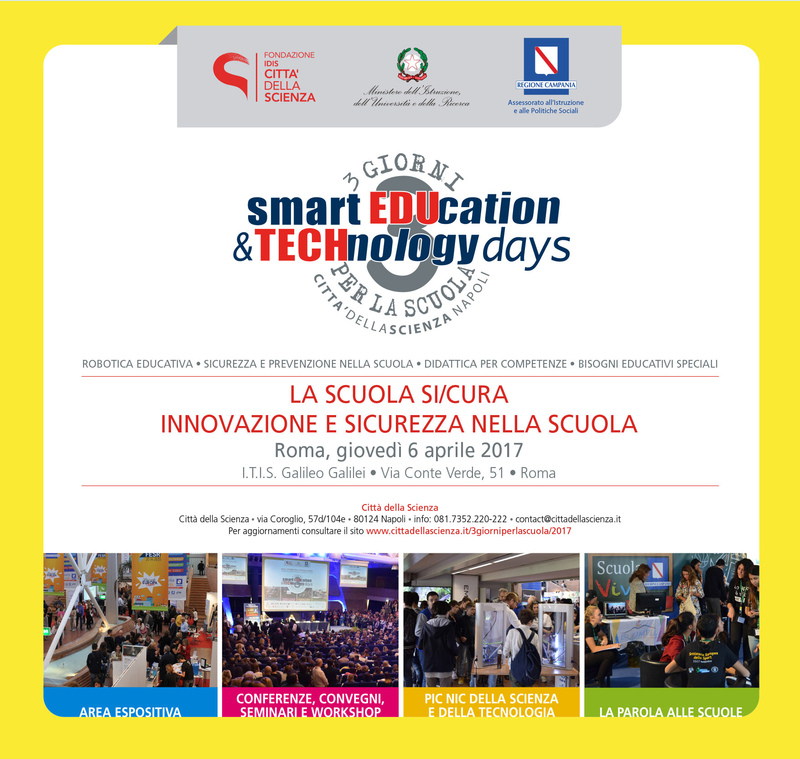 During the meeting, which will focus on issues of educational robotics, safety and prevention in schools, skills teaching, special educational needs, it will also be presented the XVth edition of Smart Education & Technology Days – 3 Days for school, 25th to 27th October 2017 at Città della Scienza. To take part in Smart Education & Technology Days 3 Days for school, go to online call.